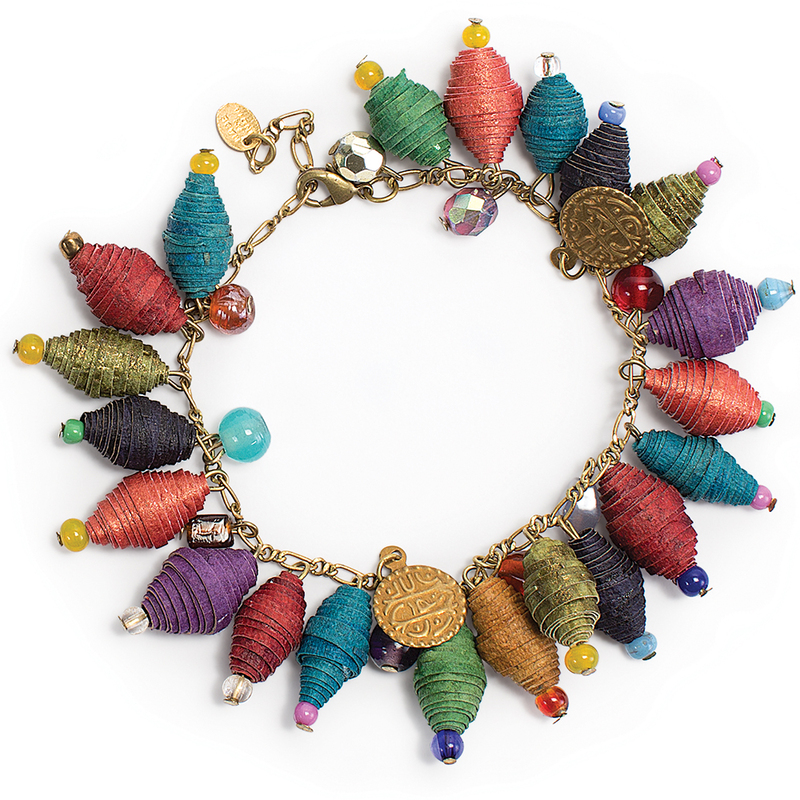 This bracelet featuring multi-size paper beads, glass beads, and brass-toned charms is helping widows in India transform their lives. 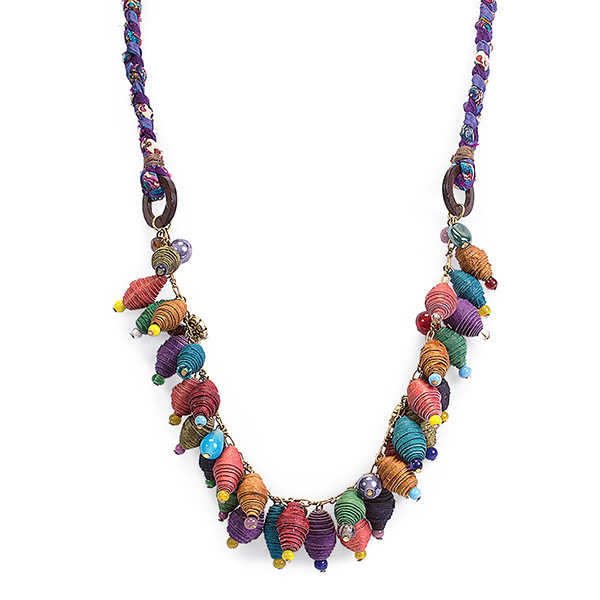 Pair the Asha Necklace and Bracelet for a simply stunning look (sold individually). 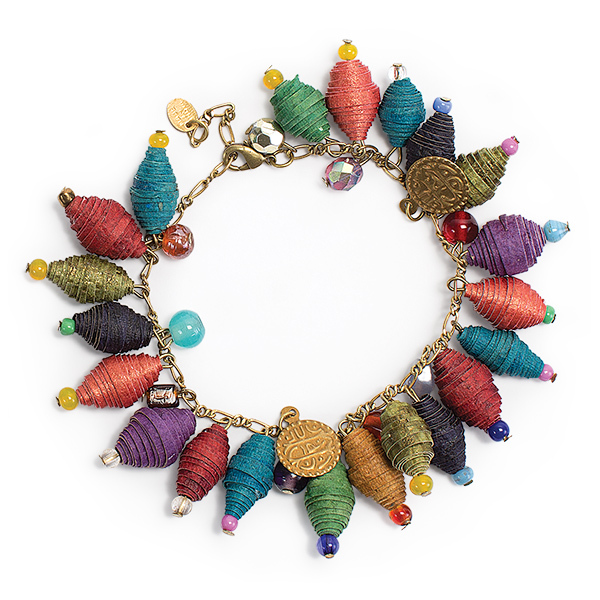 Truly unique, this bracelet features a brass-toned chain with dangling multi-color and multi-size paper beads, glass beads, and brass-toned charms. Vrindavan, India, known as the City of Widows, is home to more than 20,000 widows who are considered outcasts of society. 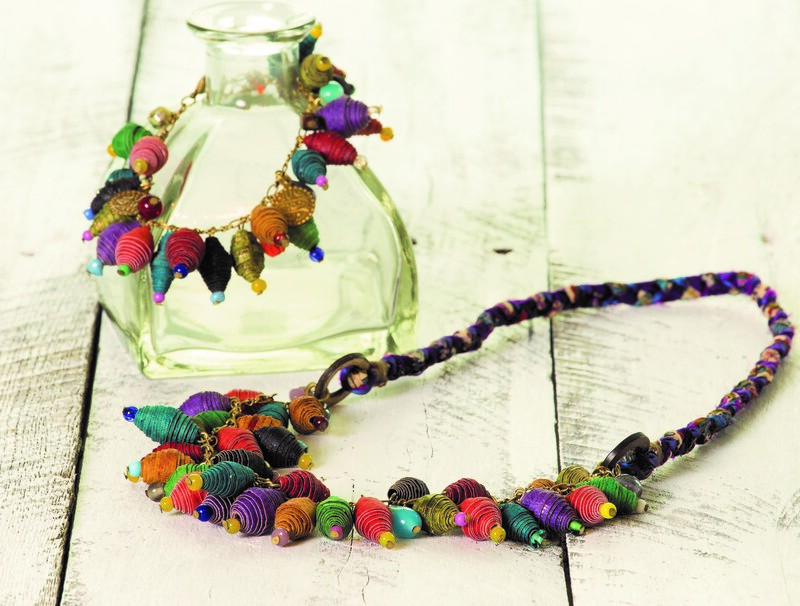 White Rainbow Project is transforming lives by sharing about eternal hope and helping them develop skills in making beautiful, handmade products. Measures up to 9.5 inches long. 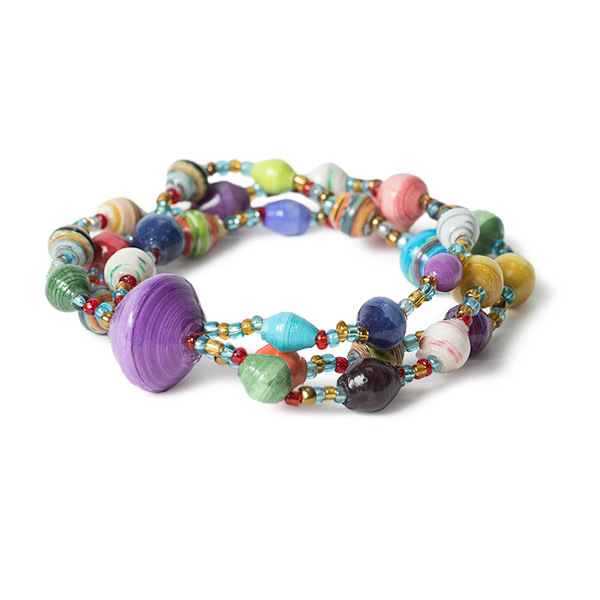 The White Rainbow Project is transforming lives by sharing love with the widows of India. They provide vocational training, food, and medical care to destitute widows in Vrindavan, India. Vrindavan, known as the City of Widows, is home to more than 20,000 widows who have been abandoned by their families. 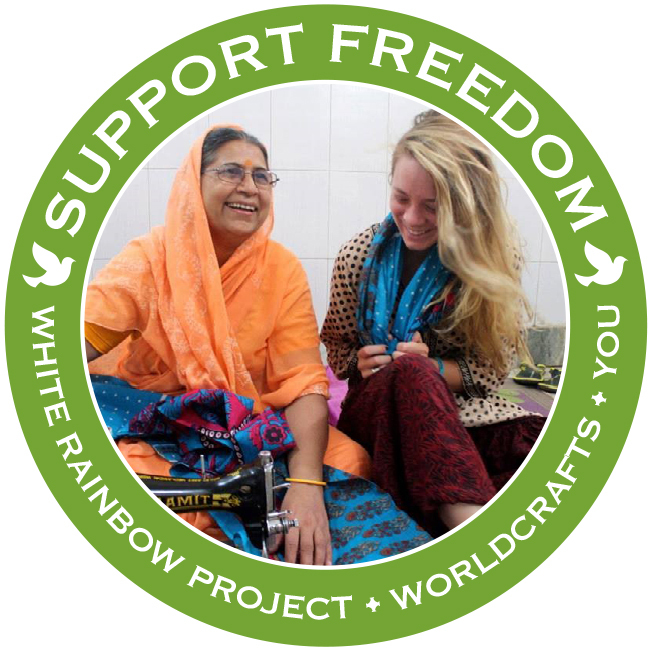 White Rainbow Project is recycling hope for these widows by helping them create beautiful handmade products out of donated saris and old magazines. Recycling takes on a whole new meaning, as this is one of the only options widows have to support themselves. They have been told that they have “bad karma” and are blamed for the death of their husband. They are shunned, exploited, and denied any sense of dignity. Earning their own money gives them freedom to choose their own destiny, many for the first time in their life.